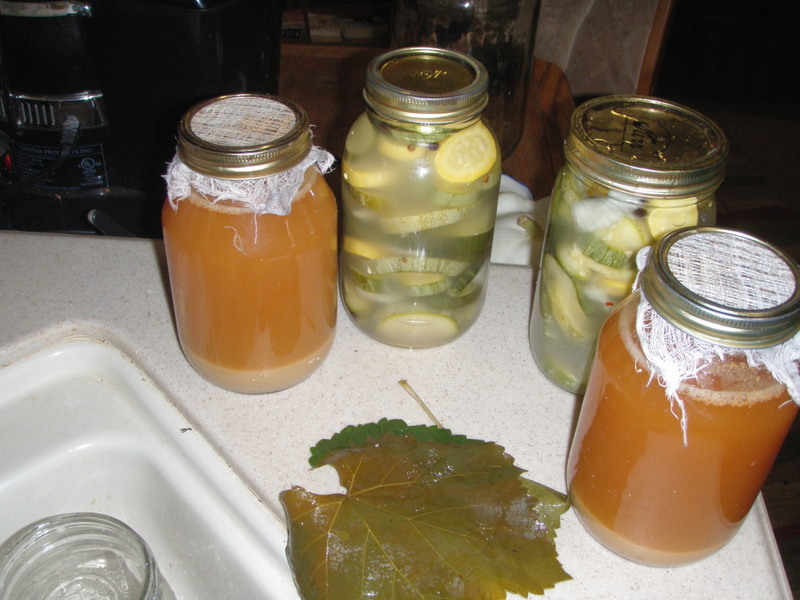 Fermented pickles keep several years under refrigeration; vinegar keeps practically forever if sealed. Back in the days before refrigeration, pasteurization and other modern (therefore “better”) ways of preserving food, keeping quality was a big deal. If you wanted to get through the winter – and possibly longer than that, depending on weather and the harvest – keeping quality was often one of the defining factors in choosing food crops. I am reasonably sure that one reason for the popularity of beans and grains was that when properly stored they will remain edible for many years. No pioneer household was without a large sack or barrel of beans. Keeping quality is part of the reason we have so many heirloom bean varieties still available. If you look at older garden catalogs, they often include keeping quality as one of the most valuable characteristics. 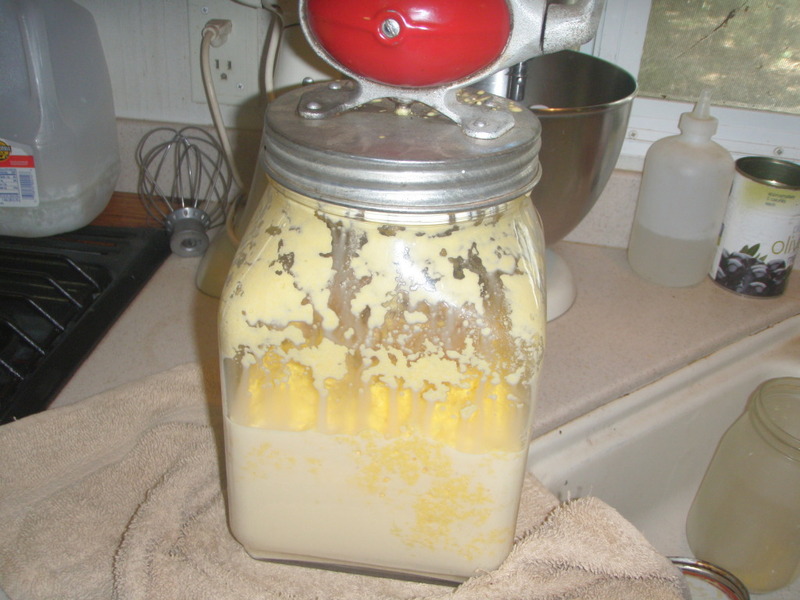 Raw milk butter freezes indefinitely and keeps over a month at room temperature if properly stored. Or take milk. One of the arguments for pasteurization – and today’s ultra-pasteurized products – is that it allows you to store milk for longer periods. Yet properly handled grade A raw milk from the morning milking invariably kept quite well in this study. By the way, older studies – done before the advent of big Farma and big Pharma throwing money into research to get the results they want – are typically more honest. The study, conducted between August 1918 and August 1919, looked at how long milk would stay sweet under different storage conditions. The milk was already 30 hours old when it reached the lab. The milk was cooled at the farm with well water to temperatures varying between 38 and 62 degrees Fahrenheit. It was not refrigerated or cooled during transport. At the lab it was stored in various places: an ice chest, a cool cellar floor, on a slate slab in the cellar about four feet off the floor and in a location with an east-facing window about eight feet from a gas fire. The milk kept 14, five, four and five days, respectively. Soured milk was not inedible. 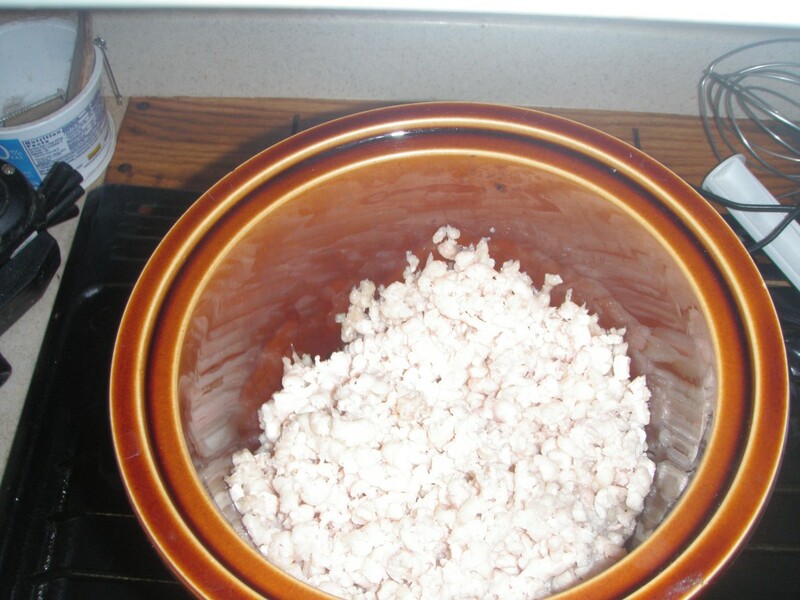 It was then used for cottage cheese or in other recipes. We have a tremendous surplus of milk in this country; extended storage doesn’t gain much and pasteurization negatively affects the healthy qualities of raw milk. The real effect of pasteurization is that dairies can get away with housing animals in unsanitary conditions and don’t have to be as careful in handling the milk. Fats like butter, lard and ghee are shelf-stable for months, if not years in the case of the latter two. The key is to make sure the butter is worked well to get all the water out, as water is the source of the bacteria that spoil butter and ghee. Duck fat, lard, tallow and olive oil were once used to preserve many foods. Confit may be a trendy foodie item today, but it was once an important means of food preservation. A confit could keep for several months on the shelf. Ground spices are good for at least a year – whole spices last several years. One reason spices were so valuable centuries ago is that many of them have antioxidant as well as antimicrobial properties. Properly chosen spices added to almost any food could help it remain edible for much longer. One study evaluated such spices as cinnamon, nutmeg, allspice, cloves, ginger, black pepper, cayenne pepper and mustard. Food was free of contamination for as long as 14 months, with cinnamon, cloves and mustard promoting the longest storage. 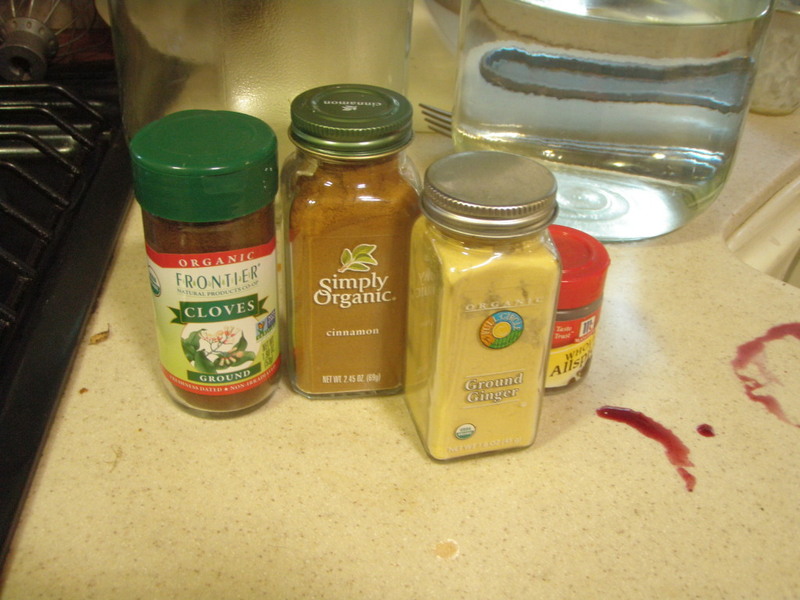 However, ginger, black pepper and cayenne pepper only added a few days to storage qualities. The researchers noted that molds were the first thing to appear – since they make their presence known with visual growth on the food, it’s pretty easy to know when a food should be dumped instead of eaten. Certain varieties of fruits and veggies keep better than others. Sweet and red onions, for example, don’t last as well as yellow storage onions. Hard-neck garlic doesn’t usually last as long as soft-neck varieties, which can go a year or more. Winter squash from c. maxima and c. moschata (Butternut, Sweet Meat, Hubbard and Banana, among others) will last a year if properly stored. Apple varieties such as Arkansas Black, Newton Pippin, Baldwin and Cox’s Orange Pippin are often too hard and tart to eat right off the tree. Harvested late and stored properly, they mellow and remain crisp and juicy for months. In fact, these varieties don’t really taste very good until they’ve been in storage for at least three months. Whole grains last at least a year at room temperature. Grinding them just before you make bread means maximum nutrition. Depending on the size of their families, most ranch wives only baked bread once a week. The loaves usually remained good for that period. Once stale, they were turned into fried bread – with or without an egg batter – dried for bread crumbs and croutons, or used to create dishes like bread pudding, strata or panzella. Tallow is shelf stable for a year and good indefinitely under refrigeration. I’ve never been able to understand why food manufacturers can’t “get” the basic idea that artificially increasing keeping quality decreases their markets. Preservatives do indeed make food last longer. However, that means stuff piles up on the shelf or in the warehouse while you keep bringing out more product, and the whole system gets constipated. If it didn’t keep as long, your fresh production would turn over much more quickly. You save money because you don’t need to add preservatives and might also save on packaging material. You can get by with a smaller warehouse. You don’t need as many employees. Instead of needing a 200% profit just to break even, half that much (or even less) is plenty. Not to mention that there’s less food waste and environmental damage. This entry was posted in Farms, Food, Health, Money Matters and tagged beans, bread, butter, food preservation, food waste, ghee, keeping quality, milk, preservatives, whole grains. Bookmark the permalink.